The first commercial breakthrough was to get a far bigger library of contemporary books into the offer than any ebook purveyor had previously. Amazon could do that because of its extensive publisher relationships and the faith publishers had in their ability to monetize the files created to deliver ebooks in the days before doing that was routine. All in all, it was such an irresistible commercial combination that it spawned other successes in its wake (particularly when wifi made the dial-up financial risk unnecessary very shortly thereafter). Kobo soon had devices and a store. Barnes & Noble went on a crash program to develop its Nook competitor and, through its retail customer base that might not have been Amazon customers, built out the ebook market even further. And then, in April 2010, Apple launched the iBookstore to deliver ebooks for its new iPad devices and iPhones. And shortly thereafter, all the ebook purveyors had apps to put ebook reading on a wide variety of Apple and Android portable devices. 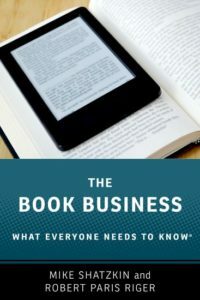 Now that ebooks are a quarter of many publishers’ sales and half or more of the sales for a lot of genre fiction, it is worth reflecting on the fact that it is only a decade since they were just about zero. Good thing for me! On this tenth anniversary of the start of the ebook era, I have ebooks galore debuting in the marketplace. One new publisher that started in life as digital-first is Scott Waxman’s Diversion Books. I am delighted that they have just released “When the Knicks Became Champs”, which I wrote 47 years ago and which was originally published by Prentice-Hall as “The View from Section 111”. The season I witnessed and wrote about was worth memorializing, although I didn’t know that when I started working on it. (Nor did my publisher, who gave me a contract when the season was less than a month old based on the early samples of my fan’s diary.) It is really nice to know that as new Knicks fans are minted, my account of that spectacular season will be available to keep the roots of their legacy alive. Ironically, my collaborator Collinson has moved from London to Toronto and to a job at Kobo while we’ve been working together! So I have had a good month. Seven “new” books in the marketplace. I think I like this digital revolution. 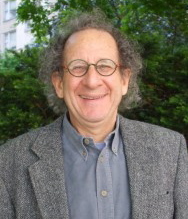 While The Shatzkin Files remains focused on publishing and digital change, I have started writing about climate change and politics on Medium (at least temporarily on Medium…) Among the recent pieces are a primer on the climate impacts, science, and politics of taxing CO2, one on the danger of using “single payer” as a health care mantra, and another that urges Democrats to support a Republican-originated climate tax proposal.